Chinese engineers have successfully carried out a compatibility test on the turbopump and gas generator of rocket engine on March 24, according to China Daily. 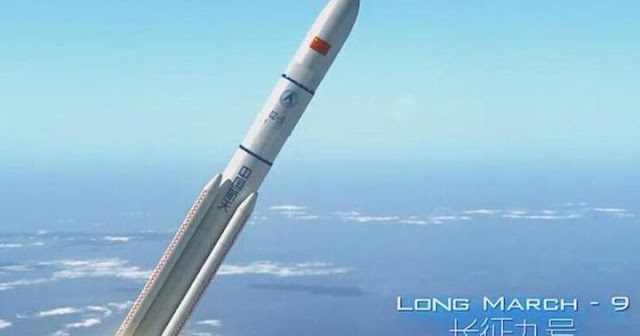 The engine will deliver 500 tonnes of thrust using a combination of liquid oxygen and kerosene, the paper quoted a statement of China Aerospace Science and Technology Corp. as saying. The test, conducted at a facility in Baolongyu area of Xi'an, Shaanxi Province, verified designs of the turbopump and gas generator and paved the way for the engine's overall testing, the statement said, noting that a turbopump is a core part of a rocket engine. The engine, which is under development at the Academy of Aerospace Propulsion Technology in Xi'an, will be the biggest and most powerful of its kind in China, the paper said. It will be used on the Long March 9 super-heavy carrier rocket, which will be key to the country's future space exploration, such as a manned lunar mission, according to China Aerospace Science and Technology Corp.
Liu Zhirang, president of the academy in Xi'an, said the new engine will consume much more propellant than its predecessors and work under higher pressures and temperatures. "So the materials to build it will be much stronger than those used in existing engines," Liu said. "In addition, the engine will employ newly developed advanced cooling devices. All of these will require state-of-the-art structural designs and outstanding welding techniques."